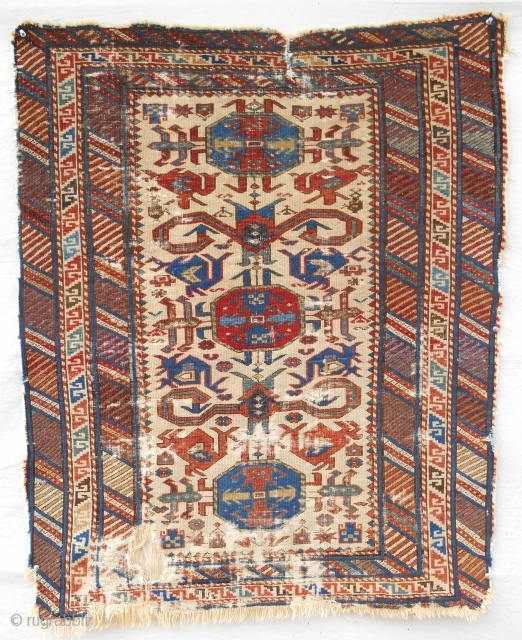 Very fine, small Caucasian Kuba "Perepedil" rug with a great border and refined drawing. c. 1850-70. Restorable.